Less frequented than its national park neighbors (e.g., Bryce Canyon, Zion, Capitol Reef), Grand Staircase-Escalante National Monument (GSENM)—managed by the Bureau of Land Management (BLM)—is an enormous, 1.9-million-acre maze of cliffs, sinuous slots, and sandstone canyons in the heart of southern Utah. 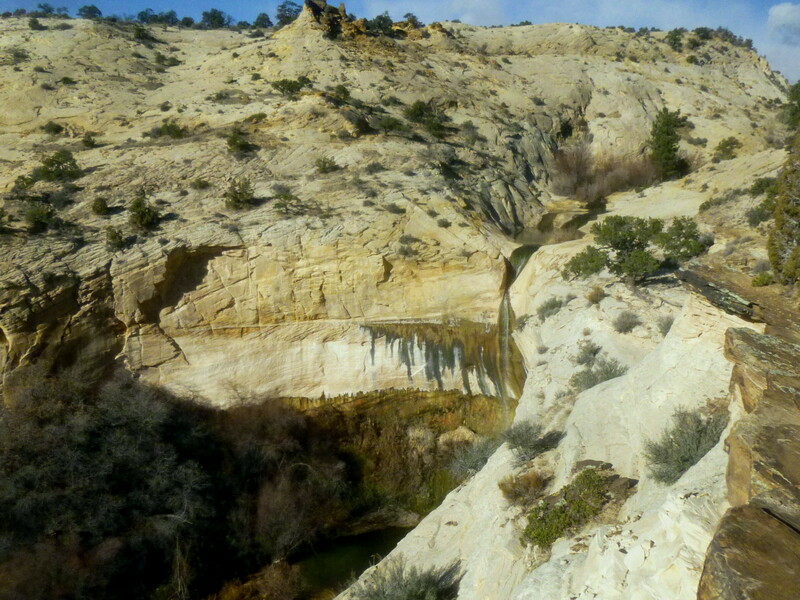 The park’s most popular spot in the Escalante Canyons area is undoubtedly Lower Calf Creek Falls, a colorful, perennial cascade accessed via a 3-mile trail following the bottom of Calf Creek Canyon. 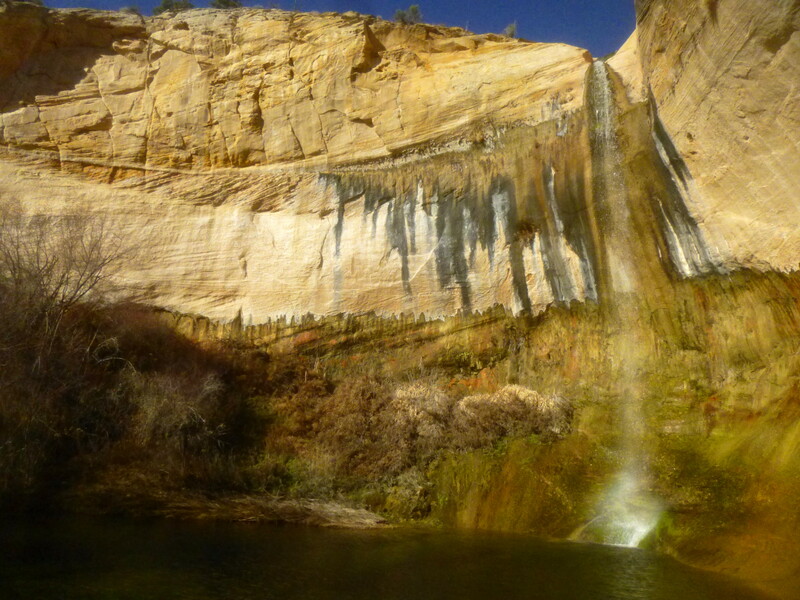 Though not as high, 86-foot tall Upper Calf Creek Falls rivals its lower counterpart in beauty and splendor. Yet the hike to the upper falls is everything Lower Calf Creek is not: steep, rugged, and virtually free of traffic most of the year. Except maybe in the peak season (late spring/summer), you are likely to have the trail to yourself. Doing both hikes—as I did on a warm winter day in December—makes for a fine day in GSENM. The turnoff for the trailhead to Upper Calf Creek Falls can be found along Highway 24 roughly 7 miles south of Boulder and 6 miles north of the Calf Creek Campground. If coming from Boulder, look for an unpaved spur road on your right between mileposts 80 and 81 (it is much closer to milepost 81). The road leads through the pine tree scrub atop mostly flat New Home Bench; if you have already begun the sharp, windy descent down the Hogback and into Calf Creek Canyon, you’ve gone too far. Weather permitting, the dirt track leading 0.1 mile to the trailhead should be passable to low-clearance, 2WD vehicles, and there is plenty of parking available at the end. 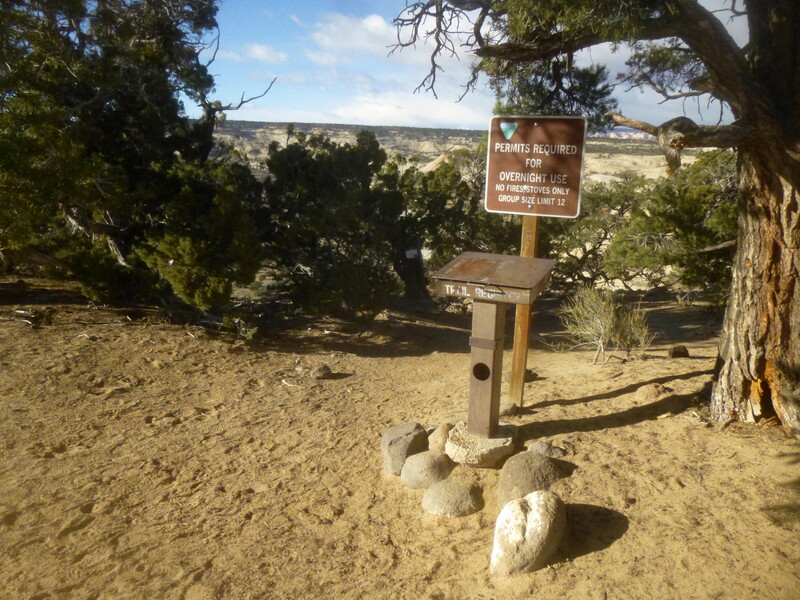 In the shadow of a ponderosa pine to the west, look for a brown BLM sign (“PERMITS REQUIRED FOR OVERNIGHT USE”) and a metal trail register, about 40-50 feet from the sandy trailhead. This is the start of your hike, and the last truly flat section until the canyon bottom. 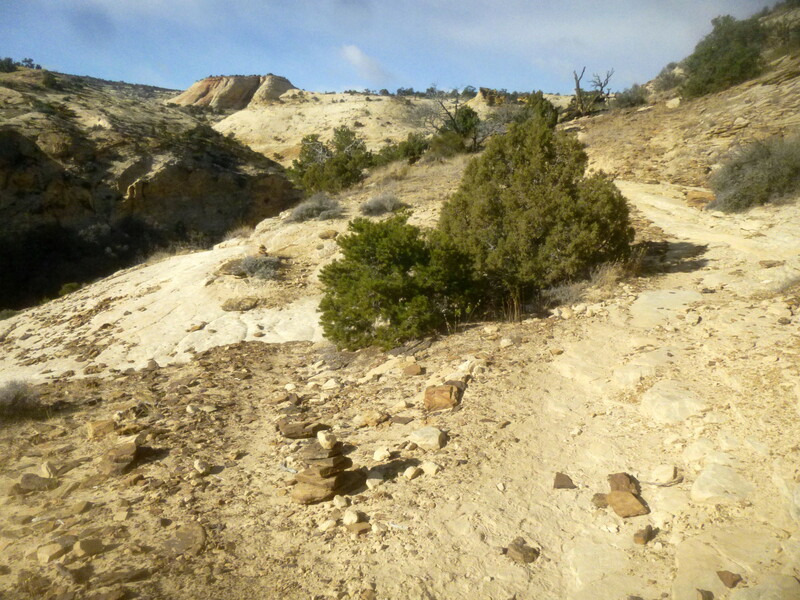 From the trail register, a path bounded by small boulders bears left and within seconds spits out onto the open Navajo sandstone slickrock. The vast expanse of Upper Calf Creek Canyon is laid out before you: it’s 300 feet in elevation loss down to a sandy, pine-laden shelf, where a dusty trail is visible slightly off to the right (from there, it’s another 300 feet down to the canyon bottom). 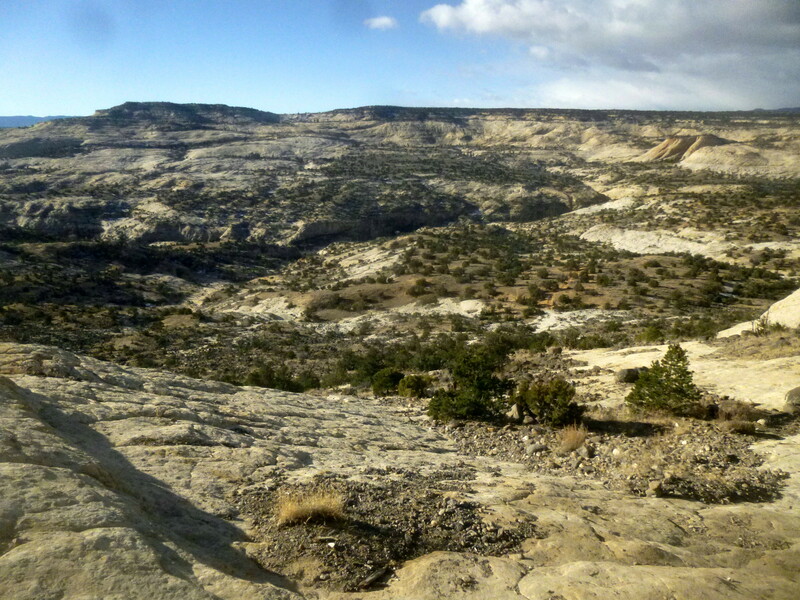 View of Upper Calf Creek Canyon and McGath Point (6,759′) from the canyon rim. The sandy trail can be seen near the center right of the photo. The obvious path below serves as a reference point as you begin your first steep descent across pearly white slickrock. 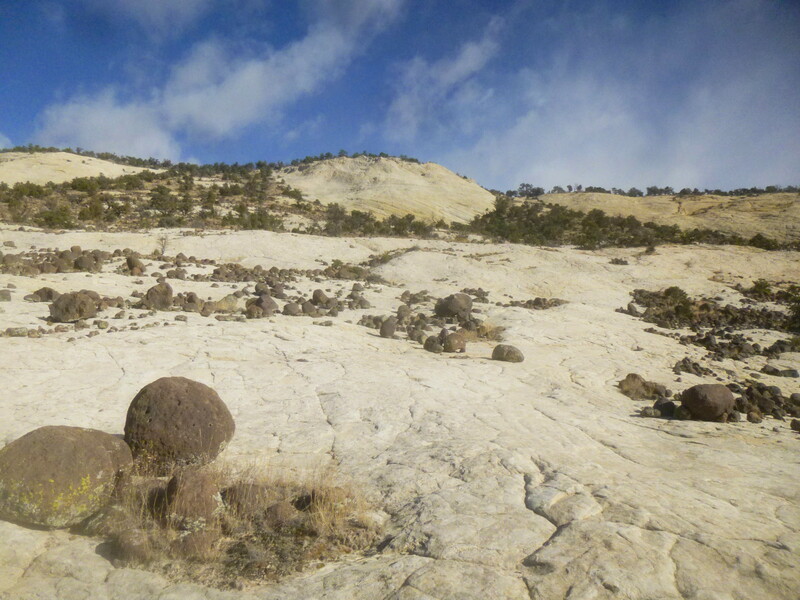 Though the trail is poorly cairned, the high-grade route is intentionally bounded on both sides in many spots by rounded black boulders, making it relatively easy to follow. The path veers right toward a grove of pinyons, ponderosas, and junipers; eventually it weaves in and out of this grove. The white checkerboard incline is not as intimidating as it first looks: assuming the rock is not wet, hikers with decent boots should be able to find sufficient traction. 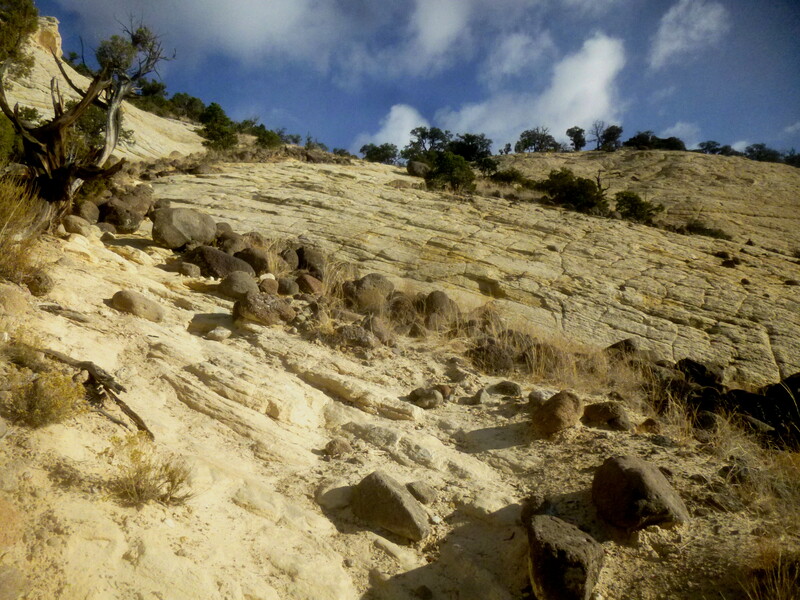 After about ¼ mile, the steep incline dissipates as you pass through the sandy, vegetated section visible from the rim. 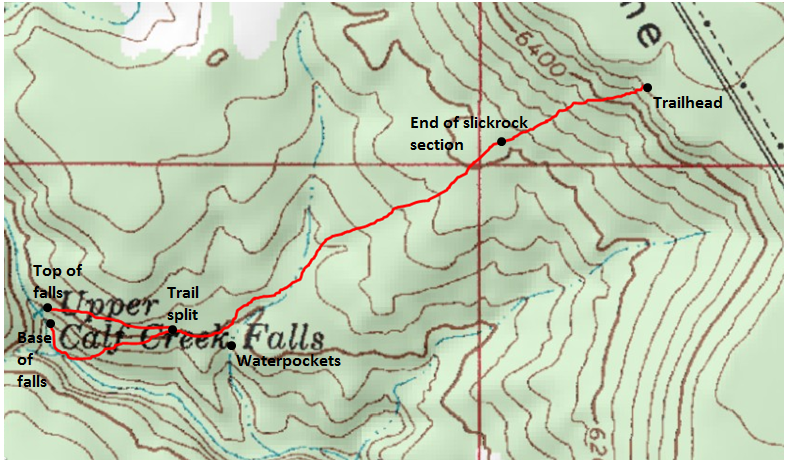 The wide, pleasant trail descends gradually for about 2/10 mile before again traversing sloping slickrock. For the rest of the hike, the path will switch off between patches of slickrock and sand, where you’re likely to spot colorful bushes of manzanita. At around 7/10 mile, the cairned route crosses a barren wash. The trail from here veers up and over the right bank, but it is a worthwhile detour to walk down the wash 30 yards or so to a couple of photogenic waterpockets—small potholes that collect and carry standing water year-round. From the wash, it is 1/10 mile or so to the trail split. To the left, a poorly-marked path edges the right flank of the canyon to the base of the Upper Calf Creek Falls. To the right, a much more recognizable trail climbs amid desert scrub to the top of the falls. 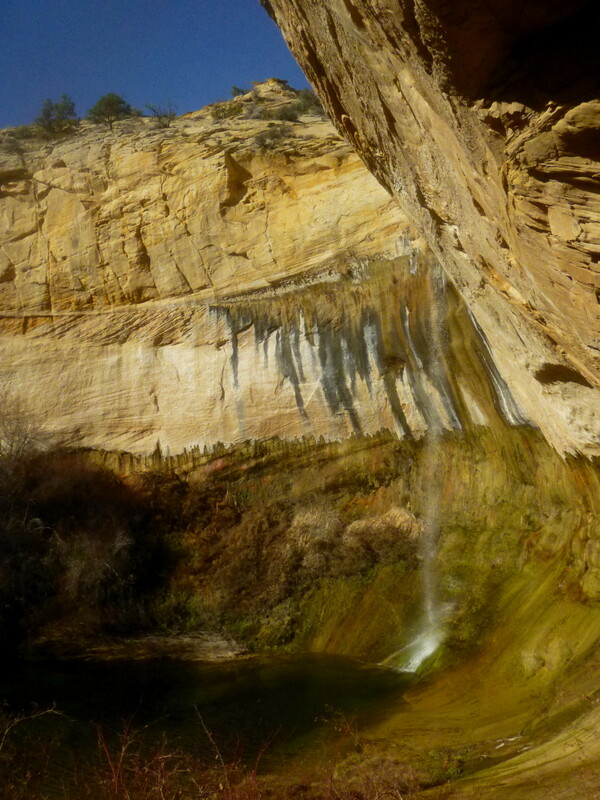 The upper route veers west for 2/10 mile, ending at an inviting blue-green pool surrounded by pale white sandstone from which the falls start their tumble. I’d imagine this is a nice swimming spot in the hot summer. Adventurous visitors can peer over the 86-foot ledge to the base of the falls below. The turnoff for the lower route to the falls’ base is easy to miss: on the day I visited, it was obvious that wind or flash floods had destroyed a number of cairns. If you cannot find the trail, it is perhaps best to begin gradually descending across the slickrock about 1/10 mile beyond the wash (the one with the waterpockets)—but at a westward angle: the worst thing that can happen is to descend too soon, finding yourself at the top of an impassible drop-off within sight—but not within reach—of the verdant canyon floor. Instead, bear right slowly and gradually until the semblance of a trail appears in the sand (finding footprints is almost always a good sign). From here, the better-established route descends gradually to the canyon floor; there is only one significant obstacle—a short, 3-foot drop-off that requires a tiny bit of maneuvering—before the trail flattens out and enters the riparian brush. By this time, the falls will appear—a single strand nonetheless boasting a surprising volume of water, even in a dry winter. The tumbling stream hits the rock just before falling into a blue-green pool, which can be accessed by a number of muddy paths through the brush. The trail itself ends to the right of the falls at a beautiful, shady alcove (where I swear I saw a bat). This spot offers a perfect place for a snack, as well as a view of the full green, lichen-covered bowl behind the falls. In a dry region where waterfalls are few and far between, Upper Calf Creek Falls feels like an oasis in the desert. Keep in mind that, similar to hikes in the Grand Canyon, the hardest part of this hike is the return trip. Allot at least twice as much time for hiking back up to the trailhead as you did coming down—the final ¼ mile up the boulder-strewn slickrock are especially strenuous. On the whole, this hike is not as kid-friendly as Lower Calf Creek Falls, but for more experienced hikers, it’s quite a treat. This entry was posted in Grand Staircase-Escalante National Monument, Strenuous Hikes, Utah and tagged Calf Creek Canyon, Calf Creek Falls, canyon, Escalante, Grand Staircase-Escalante, Navajo sandstone, New Home Bench, slickrock, Upper Calf Creek Falls, Utah, waterfall, waterpocket. Bookmark the permalink. I went to Calf Creek Falls only because I needed a campsite for the night and I decided to check out the hiking trail. That is an awesome waterfall. Indeed. 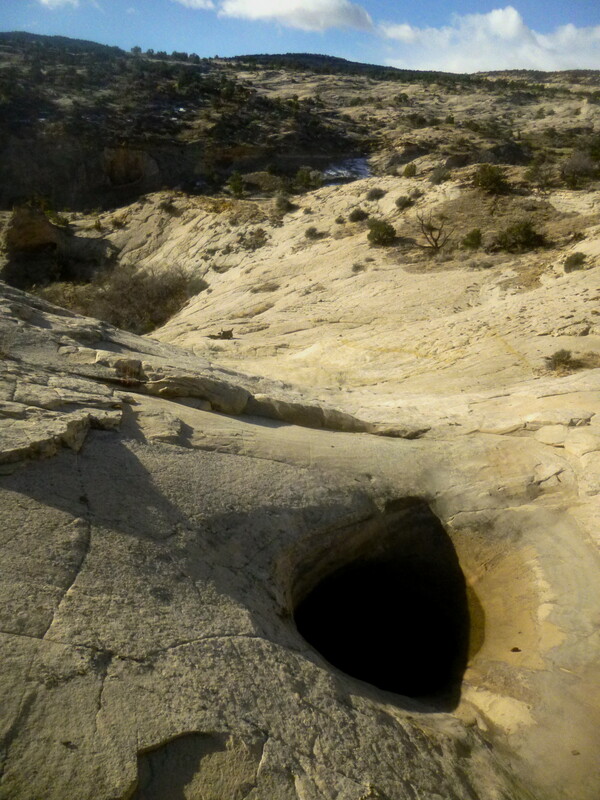 Escalante is an awesome place! 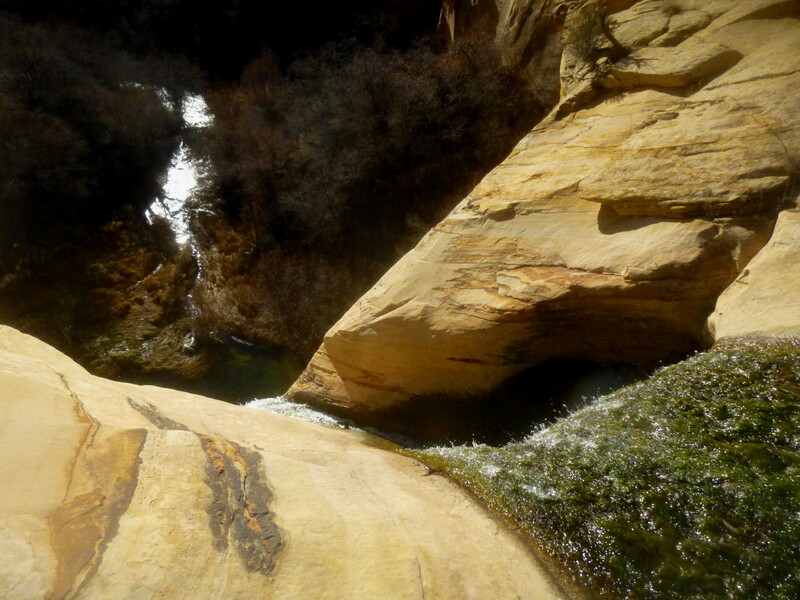 Don’t skip the pools above Upper Calf Creek. Refreshing and great place for 12′ jump into a deep pool.